Browse our list of highly rated restaurants and eateries that offer the best Chinese food in New York. If you're searching far and wide for the best Chinese food in NY, let Fun New York be your definitive guide to dining in the state. Great Chinese Take-Out/Delivery in NY! For some of the most delicious, mouth-watering Chinese cuisine; Great Wall is the place to go! From the delightful appetizers to the hearty soups to the scrumptious entrees, you will not be disappointed. All items on the menu are made from the freshest and finest ingredients. 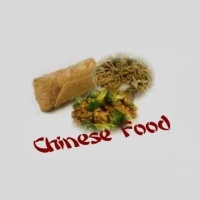 Favorites include the chicken and broccoli, boneless spare ribs, General Tso's chicken, lo mein, egg foo young, chow mein, chop suey, and sesame chicken. Online ordering is available. Hours are 11 A.M. to 10:15 P.M. on Mondays through Thursdays, 11 A.M. to 11:15 P.M. on Fridays and Saturdays, and 12 P.M. to 10:15 P.M. on Sundays. First-Class Chinese/Japanese Takeout in NY! Are you looking for the best Chinese food in NY? The food at Kim's Chinese & Sushi is bound to satisfy your hungry desires. Some of the tastier menu items include the General Tso's chicken, sesame chicken, and the Singapore Mei Fun. Get treated with fast and friendly service with a smile! In addition to great Chinese food, Kim's offers an incredible selection of sushi. Each roll is huge, deliciously filling, made from the freshest ingredients. Plus, the prices are highly affordable! Seating is limited, but if you're looking for great Chinese/Japanese takeout in NY, Kim's is your go-to destination! Fresh, Gourmet Chinese Food in NY! 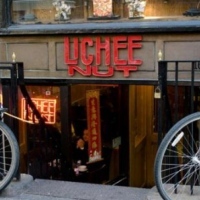 Bringing fresh, gourmet Chinese food to the Brooklyn area, Lichee Nut is known for serving both traditional and exotic East Asian cuisine. 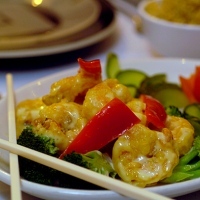 Popular house specials include the General Tso's Chicken and the zesty mango with jumbo shrimp. A good selection of vegetarian dishes is also available. Take advantage of the low-priced lunch menu, from 11:30 A.M. to 3:30 P.M. on Mondays through Saturdays. The lunch orders range from $4.95 to $6.95 and include soup, iced tea, and fortune cookies. Free delivery and online ordering are available. Hours are 11:30 A.M. to 9:30 P.M. on Mondays through Thursdays, 11:30 A.M. to 10:30 P.M. on Fridays and Saturdays, and 1:00 P.M. to 9:30 P.M. on Sundays. Healthy and Nutritious Chinese Food in New York! Using natural, hormone-free chicken and fresh local produce; Michael & Ping's is one of the top Chinese restaurants in New York. All dishes are made fresh daily, never utilizing "frozen to fryer" cooking and never adding MSG. Instead the chefs believe in using lighter, healthier, and natural flavorings. The friendly, family-oriented staff never fails to deliver the best customer service. Michael & Ping's is proud to be regarded as Brooklyn's first and only "green restaurant"! Working with the Green Restaurant Association; the staff strives hard to reduce energy consumption, water usage, and waste production. If you're looking for a truly unique Chinese dining or takeout experience, place your order today! 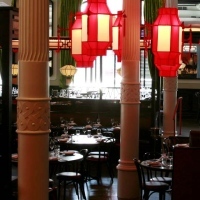 An Upscale, Zagat-Rated Chinese Restaurant in NY! The Zagat-rated Hunan Taste is a haven for foodies and aficionados of Chinese cuisine. 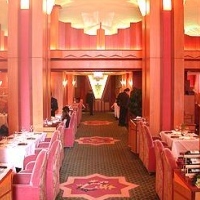 Dine within a classy and refined atmosphere, where you'll get treated with exceptional customer service. The chefs always use superior ingredients, making it stand out amongst the more typical Chinese restaurants in the neighborhood. Delicious menu items include the tangerine beef, sesame chicken, scallion pancakes, shrimp chow mei fun, Chilean sea bass, and shredded beef with garlic sauce. Pair off your excellent meal with a selection from the restaurant's extensive wine list. Hours are noon to 9:30 P.M. on Mondays through Thursdays, noon to 10:30 P.M. on Fridays, 1 P.M. to 10:30 P.M. on Saturdays, and 1 P.M. to 9:30 P.M. on Sundays. Premium Chinese Food within a Lovely Setting! Featuring delicious Chinese cuisine in an informal yet lovely setting, Ancient Ginger offers you wonderful meals made with some of the freshest and finest ingredients in the region. The combination lunch menu contains a nice array of reasonably priced dishes. The restaurant maintains a strong reputation for its impeccable service from a friendly and attentive wait staff, as well as its elegant Asian decor. For prime time reservations, it's suggested that you call in at least a week in advance. Catering services are available. Hours are 11 A.M. to 10 P.M. on Mondays through Thursdays, 11 A.M. to 11 P.M. on Fridays and Saturdays, and noon to 10 P.M. on Sundays. Enjoy Some of the Most Authentic Chinese Meals in NY! 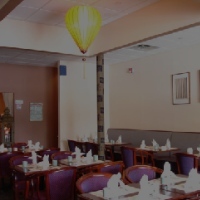 As one of the best Chinese restaurants NY has to offer, Mr. K's provides its distinguished guests with spectacular Chinese dishes, made with the best ingredients and the subtlest of seasonings. Indulge authentic Chinese cuisine from such regions as Beijing, Shanghai, Canton, Szechwan, and Hunan. All meals are beautifully presented on imperial flatware and served in grand style. Some of the dishes are seasonal, as the staff is dedicated to ensuring the finest quality and freshest ingredients. The traditional Chinese tea and ceremonial coffee will always be fresh brewed at your table. A full service bar is available. For magnificent meals, elegant decor, and one-of-a-kind hospitality; book your reservation today! New York's Premier Destination for Haute Chinese Cuisine! 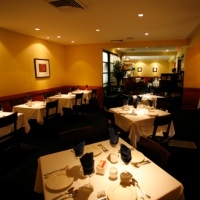 Since 1987, Chin Chin has been New York's premier destination for haute Chinese cuisine. The dishes feature savory ingredients from all around the world, prepared with authentic Asian techniques and spices. Feast on superb dishes like the Grand Marnier Shrimp--one of the restaurant's most popular items. The Zagat-rated restaurant is perfect for business lunches. The menu is pricey, but for some of the best food in New York, it's well worth the money! For less expensive options, you can order meals from the prix-fixe lunch or dinner menus. All prix-fixe meals include a first, second, and main course; as well as a dessert. Online ordering is available. An Endless Array of Delicious Chinese Food! 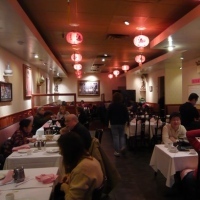 Enjoy a scrumptious lunch or dinner at the Chinatown Brasserie, one of the best Chinese food restaurants in NY! Menu highlights include the roast pork buns, soup dumplings, crispy orange beef, shrimp fried rice, mango garlic chicken, stuffed lobster, and string beans with black bean sauce. For dessert, please try the tiramisu cake, which is absolutely to die for! The place is beautifully decorated with rich red colors and paper lanterns. 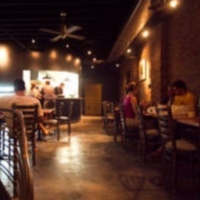 The atmosphere is dimly lit, making it a perfect dinner spot for you and your special someone. The staff is perfectly accommodating, attending to each customer's every need. Even if you're not an "avid" fan of Chinese food, you will love the incredible selections at Chinatown Brasserie! A Selection of Spicy, Authentic Szechuan Dishes! Enjoy spicy, delicious dishes in the authentic style of China's Szechuan region at Szechuan Gourmet! All portions are large and freshly prepared. The slew of enticing menu items includes spicy cucumbers, shrimp with peanuts, double-cooked pork, pork dumplings, and crispy beef with cumin chili. The service is extremely friendly, as the staff believes in making every guest feel welcome. Plus, in comparison to other local Chinese restaurants, the prices are relatively affordable. 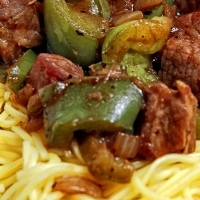 As long as you have a penchant for spicy foods, you will be absolutely delighted by Szechuan Gourmet! The restaurant tends to get quite crowded, so please show up early and make reservations beforehand! 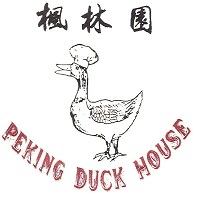 Peking Duck House, one of the best Chinese restaurants in New York, serves authentic Chinese cuisine in a pleasant and cozy setting decorated with beautiful floral arrangements and delicate ambiance lighting. With an extensive menu featuring a range of delightful Chinese specialties, Peking Duck being a favorite, the restaurant is a Chinese food lover's paradise. Guests can enjoy Chinese delicacies such as Steamed shark’s fin Peking style, Deep fried bean curd sauteed with black mushrooms, sliced pork and bamboo shoots in brown sauce, or Shanghai Shrimp (Sauteed shrimps shanghai style), as well as a range of other delicious meat, seafood or vegetable dishes. The excellent food and the pleasant atmosphere paired with attentive service make the restaurant ideal for an intimate, romantic dinner or any kind of a special occasion.